Add a personal sentiment to your gift and ensure it makes it to the proper recipient with one of our Gift Labels. They coordinate beautifully with many of our gift wrapping papers . Your gift presentations, Gift Tags & Enclosures or creative packaging ideas will come alive when adorned with our Rhinestone Stickers. They easily adhere to most any surface - paper, metal, glass or plastic. If you have a little Valentine in the house, chances are high that there's a classroom Valentine's party coming up. And with every Valentine exchange comes the need for a box to drop them in! 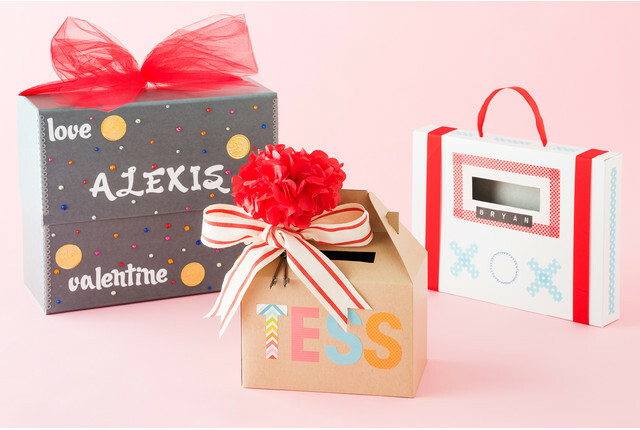 We've come up with some super easy, personalized boxes that your kiddo will L-O-V-E.